A series of combination of multi-layers of ballistic fabric woven together in a special pattern to produce maximum strength, then sewn into a flame and acid water repellant cover. 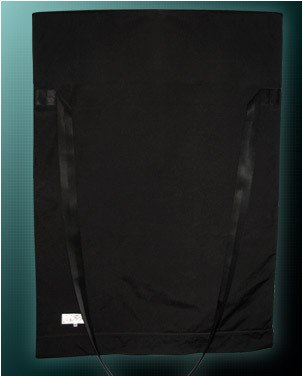 This Ballistic Blanket could be for passengers in an automobile facing an imminent danger, covering over a window, mobile operations, creating temporary and protective walls, & protection against hazardous material & related attacks. The outer shell of Alpine's ballistic blankets is resistant to fire, high-strength abrasion and acids.